ataka uses the freshest ingredients to make classic Indian cuisine. 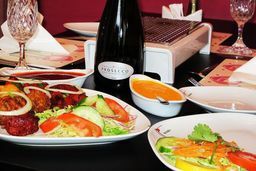 The restaurant opened in 1991 so having been open now for over 20 years, high quality is guaranteed. The decor instills a lasting first-impression as soon as you step inside. 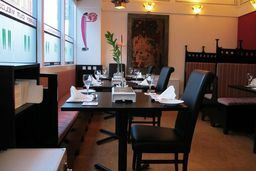 It's distinctive 'Charles Rennie Mackintosh' themed interior and stylish private booths makes for a truly satisfying & unique dining experience. 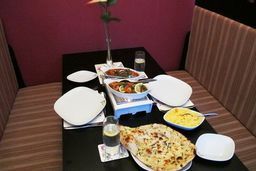 You can also dine in 'The White Room', which is an extension recently created and can also be used as a function room, that caters up to 35 people. 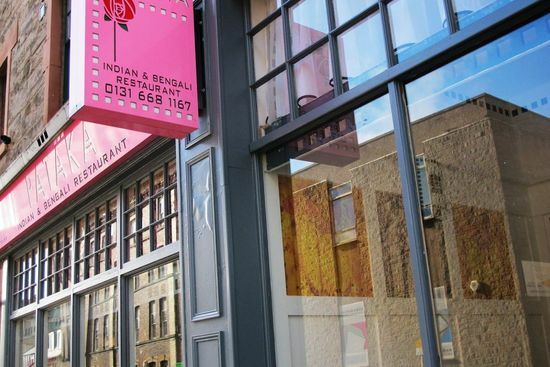 Pataka has been named one of the top-ten Indian restaurants in Scotland ( Scotland on Sunday) and boasts an extensive menu- with which there is a willingness to experiment to suit your tastes. Pataka may even be a great opportunity for celeb-spotting as they take great pride in being featured in Ian Rankin's novel 'Set in Darkness' and have the pleasure of having Mr Rankin as a regular customer! A delivery service is available .